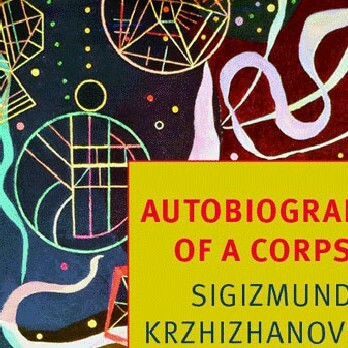 The opening and titular story of the NYRB’s second collection of Sigizmund Krzhizhanovsky’s short fiction Autobiography of Corpse features a typical (for the time) protagonist, a journalist from the provinces with a typical (for the time) quest, the search for a room in newly Soviet Moscow which is accomplished in a deeply atypical (for any time) manner. Housing is a theme which crops up repeatedly in Russian fiction from the 1920s, most notably in Zamyatin’s story ‘The Cave’ and Serge’s novel City Under Siege. What makes Krzhizhanovsky’s fiction stand out is not its unacceptability to the Soviet state’s nascent notions of socialist realism (both Zamyatin, Serge, and host of other writers were censored, exiled, ignored, and/or shot) but its combination of post-Gogolian fantastical grotesque and perverse Cartesian metaphysics with explicit Kantian overtones. Krzhizhanovsky isn’t just weird for Moscow in 1925, he’s weird for anywhere and everytime. This is precisely the opposite of what the Soviet regime wished to propagate, and it shouldn’t surprise anyone that Krzhizhanovsky was barely published in his lifetime. Only one of the stories in Autobiography of a Corpse was written before the establishment of the Russian Association of Proletarian Writers, which sloganeered, “Against the Varnishers of Reality!” Krzhizhanovsky was eventually accepted into the Soviet Writer’s Union in 1939, but a planned volume of his stories went unrealized due the Second World War. As a result, Krzhizhanovsky was known by a few, and only through his readings, a motif he often employs and/or satirises, especially in the novella The Letter Killers Club, also published by the NYRB. This feeds into Krzhizhanovsky’s tactic of matryoshkaing tone-shifting stories inside one another to the point where no one, not even, or perhaps especially, the narrator can remember which is the original. These are not the metaphorical attacks on Soviet conformity of Bulgakov or Zamyatin, much less the humanist appeals of Solzhenitsyn. These are desperate sprints of furious invention and seemingly out of control prose which turn on and attempt to consume themselves. Even the stories which dwell, or are bogged down, by tortured torpor (almost all those included are at least touched by it) and metaphysical musing (on the “Land of Nots” and the nature of “Ises”), manage to break out of their constraints and run rampant for a paragraph. And, indeed, one begins to suspect that this is Krzhizhanovsky’s strategy, to lull you with repetitious rumination on the real and then gob-smack you with wildness, deft observation, and deep body-horror. In ‘The Bookmark,’ from the NYRB’s 2009 collection Memories of the Future, the Eiffel Tower breaks free of its foundation and, “[l]ess frightened than embarrassed by its clumsiness” goes on a rampage reminiscent of Gargantua, but far more polite. Autobiography of a Corpse features a new Golden Age powered by spite, seeping “out of the liver all by itself in bilious yellow drops” (‘Yellow Coal’), the perverse social and physical impact of a man’s obsession with biting his elbow (‘The Unbitten Elbow’), and the flight of a pianist’s fingers “hand and all” (‘The Runaway Fingers’). There is Kafka here (who Krzhizhanovsky had not read) and Gogol (who he, obviously, had). But these stories are Krzhizhanovsky’s own obscure and inimitable revolt: a progression of the grotesque tale, or, as Adam Thirwell puts it in his introduction, an attempt at “a description of how the fantastic could be described at all”. Writing for the drawer, after all, offers the perverse pleasure of never needing to compromise.